As a former New Yorker living in London, I have noticed the persistent creep of food trends imported here from the States many times over the last two and a half years. First it was a more casual, no-reservations style of dining that shook up the city’s sometimes staid and formal way of eating out, followed by some excellent Southern-style barbeque joints. The trend might have reached its apex with the burger and hot dog invasion, which was greeted with Bieber-esque hysteria as the new Shake Shack and Five Guys arrived with two-hour queues and countless imitators. Not that I’m complaining, since these are all nice things, but it is refreshing to spot a distinctly homegrown trend right here in the Capital: the rise of the sherry bar. Once thought of as an antiquated and, to quote the locals, a “naff” dessert drink, sherry is starting to shed its dusty image, find its cool factor, and develop a devoted following around London. I think it’s fair to credit the rising popularity of authentic Spanish small-plates restaurants with diverse and lengthy sherry menus. Many of these bars are cropping up in younger, hipper parts of London, like the cozy and pint-sized Jose on Bermondsey Street. Sherry is not only great value for the money, but it pairs beautifully with food—particularly salty Spanish treats like marcona almonds, olives, and jamon of all sorts. The Spaniards have of course long understood sherry’s appeal. The fortified wine, typically 15 percent alcohol, comes from the Andalusian region of Jerez. Made with white wine grapes, brandy is added after fermentation to boost alcohol content. Depending on the method, sherry can be dry like the Fino or Manzanilla varieties; or rich, sweet, and nutty like Oloroso or Pedro Ximénez, with a caramelized, almost Bourbon-like depth of flavor and complexity. My personal sherry obsession is constantly cultivated through multiple trips to Morito, a tiny tapas bar along Exmouth Market in my East London neighborhood of Clerkenwell. Everything about the place makes me happy, from the bright orange bar to the friendly staff to the little bites of anchovy and chili pepper to snack on before you place your order. At Morito, husband-and-wife team Sam and Samantha Clark have created a menu of flavorful bites that are tailor-made for sherry pairing. They’ll recommend washing down your chickpea salad or salt cod croquetas with a nice Manzanilla and will even drown your malaga raisin ice cream in a rich pool of Pedro Ximénez. 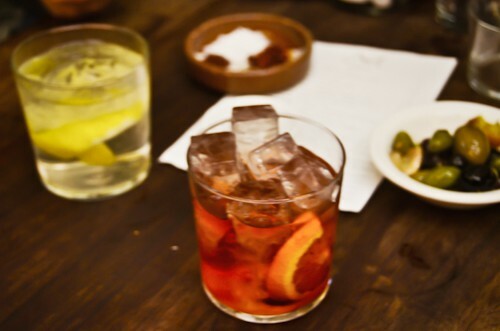 Or you can start your meal with the ultimate cocktail: a Negroni amontillado. Equal parts Campari, vermouth, and amontillado sherry, it’s a drink that’s equal parts classic and nouveau. So who knows? In a few months time, New Yorkers might notice a few serious sherry bars cropping up in Williamsburg, Greenpoint, or Long Island City. You heard it here first. My personal, sentimental favorite and the place that got me hooked. 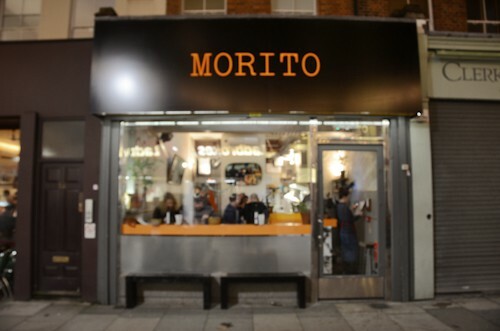 Morito is the little sister to the more formal Moro next door, and because it’s primarily a restaurant, provides a great way to try out different sherry food pairings. Located in the lovely neighborhood of Fitzrovia, Drake’s Tabanco is probably most authentic and closest to a Spanish style sherry bar. These guys take things seriously—it is the only place in London that serves sherry straight from the barrel. In addition to serving tasty seafood and small plates from their open kitchen, Jose has a truly special bustling atmosphere. If you can snag a seat, you will linger for hours, people-watching and slowly sipping your Fino. Located in the heart of Soho, London’s foodie mecca, Barrafina is a classic that’s so beloved its 20-seat bar fills up just minutes after opening. Get there to early to grab a stool. Irene Kopitov is a transplanted New Yorker living in London who loves nothing more than a whole grilled fish and a Negroni on a sunny summer day. Since there aren’t too many of those in her new home, she is learning to love the sprawling farmers markets and afternoon pints. 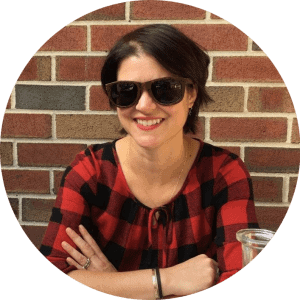 Born in the Ukraine and raised in Boston, Irene is a publicist specializing in design and the arts.